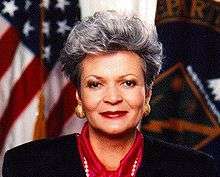 Hazel Reid O'Leary (born May 17, 1937) was the seventh United States Secretary of Energy, from 1993 to 1997, appointed by President Bill Clinton. As of 2015, she is the first and only woman and first and only African American to hold the position. She served as president of Fisk University, a historically black college (HBCU), from 2004 to 2012. Born Hazel Reid in Newport News, Virginia, to Dr. Russell E. and Dr. Hazel Palleman Reid. Both of the parents were successful medical doctors around the 1930s. She has a sister Edna Reid. Her parents divorced and each remarried. She and Edna have half-siblings Marina, Louis and William Morse. After earning a bachelor's degree at Fisk University in Nashville, O'Leary earned her Juris Doctor (J.D.) degree from Rutgers School of Law. O'Leary is a member of Alpha Kappa Alpha sorority. Reid married Carl G. Rollins, Jr., with whom she had a son, also named Carl. They later divorced. Her second husband was anchorman Max Robinson. She remarried to John F. O'Leary, the former Deputy Secretary of Energy, on April 24, 1980. He died in 1987. O'Leary worked as a prosecutor in New Jersey and was later a partner in the consulting/accounting firm of Coopers & Lybrand. During the Carter Administration, O'Leary was appointed assistant administrator of the Federal Energy Administration, general counsel of the Community Services Administration, and administrator of the Economic Regulatory Administration at the newly created Department of Energy. In 1981, O'Leary and her husband established the consulting firm of O'Leary & Associates, where she served as vice president and general counsel. From 1989 to 1993, she worked as an executive vice president of the Northern States Power Company. In 1993, President Bill Clinton nominated O'Leary as Secretary of Energy. In this position, O'Leary won plaudits for declassifying Cold War-era records, which showed the U.S. Government had used American citizens as guinea pigs in human radiation experiments, as had long been rumored. 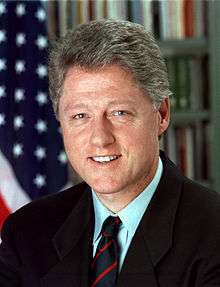 President Clinton issued Executive Order 12891, which created the Advisory Committee on Human Radiation Experiments (ACHRE) to prevent such abuses of power. During O'Leary's service, she was criticized in a GAO audit of traveling too frequently and spending too much on accommodations. She apologized to Congressional committees in 1996 for spending which exceeded limits on the funds appropriated to the agency for travel, and resigned in January 1997. In 1997 Johnny Chung, a Democratic political donor, claimed that O'Leary met with Chinese oil officials after he gave $25,000 to O'Leary's favorite charity Africare in 1995. FBI director Louis Freeh urged an independent investigation. Attorney General Janet Reno determined there was "no evidence" of wrongdoing by O'Leary. In 2004, O'Leary was selected as President of her undergraduate alma mater, Fisk University, a historically black college in Nashville, Tennessee. As president, O'Leary has helped the university recapture its place in competing for top students and financial support, and has attracted outstanding faculty. While she accomplished major fundraising, the university continued to struggle to build its endowment. In 2012 she announced that she would retire at the end of the calendar year. She was succeeded at Fisk by H. James Williams. At Fisk, O'Leary considered a proposal from a museum in Arkansas to purchase a half-share in the Alfred Stieglitz Collection, which would raise money for the university and enable the collection to be more widely viewed. It was bequeathed to Fisk by his widow and fellow artist Georgia O'Keeffe on the condition that it never be sold. Fisk appealed to the Chancery Court to be released from the condition prohibiting sale. The court directed the State Attorney General to develop an alternative plan to keep the collection in Nashville and the state. In September 2010 Attorney General Bob D. Cooper proposed the collection be transferred to the Tennessee Arts Commission and housed at the Frist Center for the Visual Arts in Nashville. It would be identified as the "Alfred Stieglitz Collection at Fisk University". The proposal is a joint state, city and museum project. ↑ Finkelman, Paul, ed. (2009). Encyclopedia of African American History Volume 4. Oxford: Oxford University Press. p. 11. ↑ Thomas, Pierre (January 4, 1996). 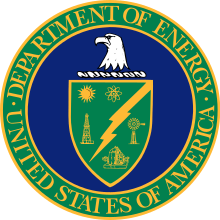 "Energy Dept. Travel Examined; GAO Audit Cites Lax Accounting for O'Leary Trips to India, S. Africa". The Washington Post. Retrieved 2008-02-03. ↑ Lee, Gary (January 5, 1996). "GAO Report Blasts O'Leary On Sloppy Travel Records". Chicago Sun-Times. Retrieved 2008-02-03. ↑ Stout, David (December 3, 1997). "The Attorney General's Decision: The O'Leary Case; Reno Backs Former Energy Secretary's Denials of Wrongdoing". New York Times. Retrieved 2008-02-03.